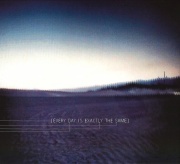 Every Day Is Exactly The Same (also known as Halo 21) is the third single released in promotion of With Teeth on April 4 2006. 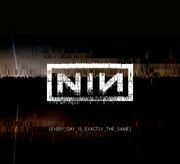 It contains the album version of the title track as well as remixed versions of the previous two singles from With Teeth. CD5 format with black face and white printing. Comes in a glossed card sleeve with full-color artwork. CD5 format with black face and white printing. Jewel case includes full-color artwork. Previous release - "Only" Halo number: 21 Next release - "Beside You In Time"
This page was last modified on 4 April 2019, at 22:53. This page has been accessed 99,287 times.